When I was 14 I stopped washing my hair. I figured that if guys could not wash their hair for weeks, then why couldn’t I? Surely it gets to a stage where it self-cleans? My friends talked me out of that, after my hair became a greasy mess, not without a fight though. And they still refer to it as ‘the time when Sarah stopped washing her hair’. I used to be a regimental every-second-day washer, and if I missed a day my hair was oily and lank. So what happened? I blame Facebook. If it weren’t for Mum groups I’m in, then I’d never have found out that some Mums wash their hair once a week. At the same time in another group, people were taking about ways to give up on mainstream cosmetic and beauty products, and the subject of no-poo came up. Nope, it’s not about actual poo. ‘Poo: short for shampoo. No-poo: no shampoo. 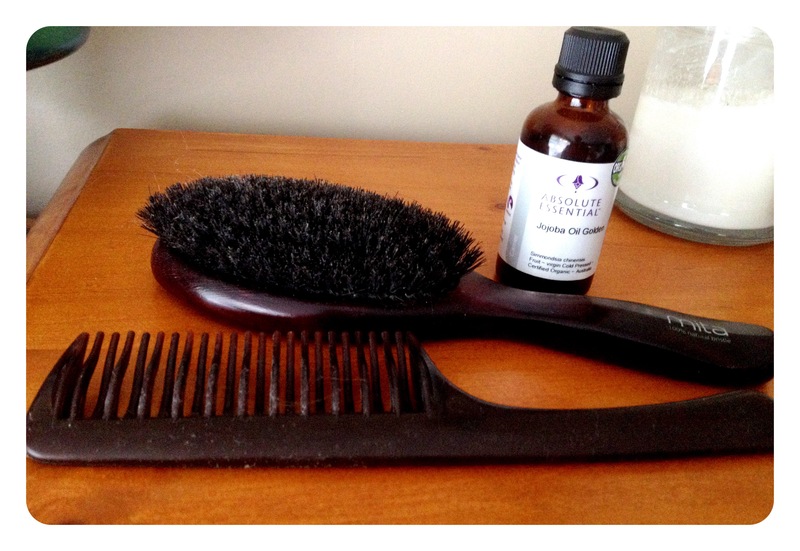 I started by reading Lucy’s blog about alternatives to shampoo. I delved into how shampoo works, how your scalp and hair works and what it needs, and thought why not? What’s the worst that can happen? I threw away and gave away all of my shampoo and conditioner (though kept the ones without silicones or sulphates) and dove in head first, or hair first. 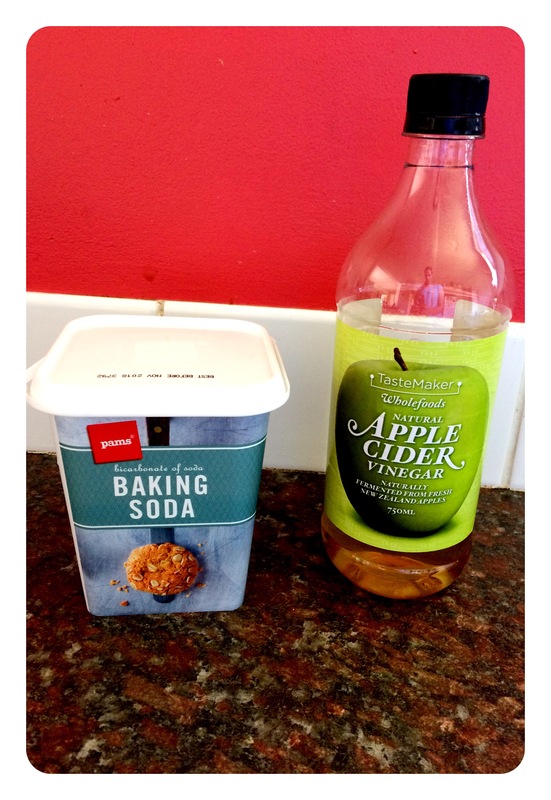 I started with the no-poo basics: baking soda and Apple cider vinegar (BS & ACV). And it was yuck at first. I wore lots of braid and plaits and twists to hide the grease, but as I stetched out the washes, my hair produced less oil. Now I wash once a week, and rinse halfway through the week, but only if my hair needs it. I wondered how long I could do it for. I mean if it all turned nasty I could always go back to regular ol’ shampoo and conditioner. And 6 months in it is still an experiment as I learn about what my hair likes (Aloe – YES!! Coffee – not so much). With my trusty boar bristle brush, detangling comb and 10 min of brushing every night, I’m embracing the sebum and my hair is so much healthier and lighter and has more volume. And, I’m not buying a new bottle of shampoo/conditioner every few months. Yay for money saving and less waste! !